Boots 17 Blow Out mascara blows eyelashes out of all proportion. Contained in a Brivaplast pack developed in collaboration with Quadpack, this full-bodied mascara looks bold and bright and boasts an impressive volumising performance. The densifying and conditioning formulation boosts lash body, then sets and holds for long-lasting lift. The Brivaplast’s patented bi-injected wiper optimises the charging of the formula onto the brush. The big barrel brush then sculpts and teases every lash for bigger, bolder and more volumised eyelashes. The look is perfectly aimed at the teen market, with straight, solid lines, a chunky body and vibrant, youthful colors. The black master-batched bottle features three silk screen colors: white, yellow and magenta. The cap is tampo-printed with the 17 logo in white, to line up with the print on the bottle when closed. Typical of Brivaplast mascaras, 17 Blow Out has a premium click closure that noticeably ‘clicks’ into place. As befitting the big, bold look, the surface is smooth all over, including the top, thanks to an inner gated cap. The injection point is hidden on the inside of the cap, so the top is a perfect level plane. 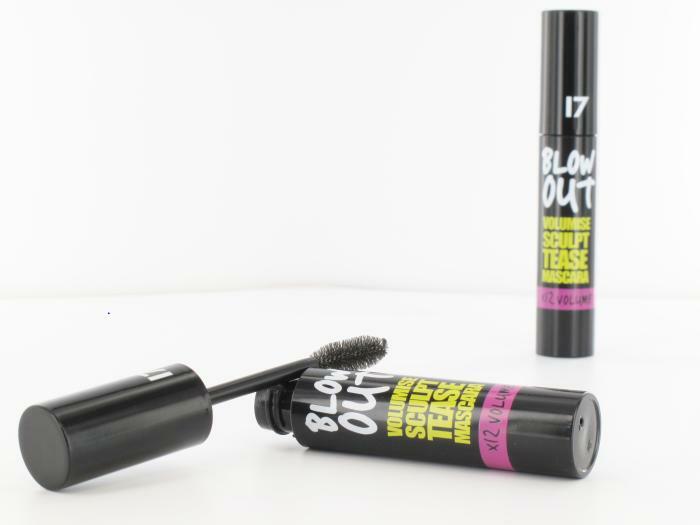 Boots 17 Blow Out mascara is set to be 17’s best mascara launch of 2012.